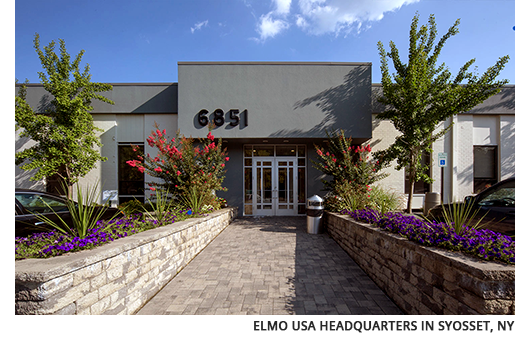 ELMO has helped shape the Education market with industry-leading technology for over 45 years, focusing primarily on K-12 and Higher Education. Thanks to our years of research and expertise, we are able to manufacture only the best education technology products suitable for classroom needs. ELMO has served the Business market since we introduced our first overhead projector in 1969. Since then, our overhead projectors have evolved into high quality document cameras that range from platform cameras to smaller, more portable models for presenting on the go. ELMO has supported the Government since the introduction of our overhead projectors and has continued to grow our presence in this market with our CCTV cameras and higher-end document cameras. ELMO document cameras are currently used by various government agencies such as NASA, the FBI, and the CIA. ELMO has supplied the Legal market with solutions since our first overhead projector in 1969. With powerful zoom capability and impeccable image quality, our document cameras have aided in many high profile court cases, such as the O.J. Simpson trial.